There’s a certain wonder in a fresh veil of snow. It coats the world, it covers tracks, it invites you to trailblaze your own path. March is a magic month for snow junkies. From the rugged folds of Chamonix to Aspen’s churning Buttermilk Mountain – nothing can compare to sun on your back and powder in your face. HP Lovecraft referred to Antarctica as the mountains of madness, but in this version of adventures into the great unknown, we replace prehistoric horror with enchanting adrenaline-fueled action. Antarctica is already an adventure in itself -a snow white desert that has claimed many an explorer, the literal end of the earth. On this polar prized adventure, you can swap your skis for the gift of flight. 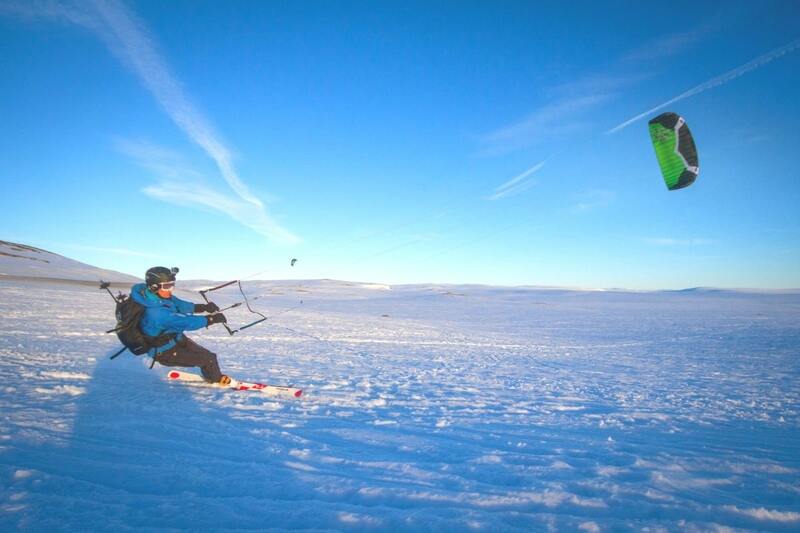 Snow kiting across the wide white landscape of Antarctica with nothing but the empty horizon and soundscape of groaning glaciers is an experience that will cling to your skin. Even beyond the thrill of kiting across the Independence Range, this adventure will gift you survival skills and a taste of Jack London inspired wildness that few will have had the chance to uncover. Sleds, skis, and the solar flares of the mysterious aurora – as Lovecraft says – the mountains of madness have many little plateau of sanity. The purr of a Porche 911 sounds even sweeter when soaring across the mirrored surface of an icy lake. 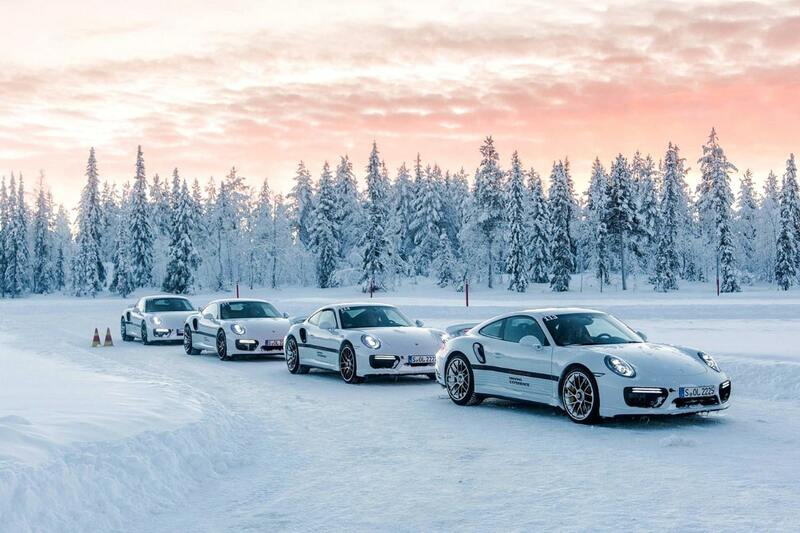 For those speed junkies who are seeking new ways to get their kicks, the Porches on Ice experience is a surefire shot of supercar adrenaline. Set deep in the frozen mountains of Sweden’s wild interior, an experienced rally driver and a Porche await your arrival. Once behind the wheel, you can careen, skid, glide, and careen across the thick layer of ice – truly putting the power and prowess of the world’s most notorious automobile to the test. Afterwards, having left smoke and rubber in your wake – why not continue the adventure with a snowmobile safari beneath a canopy of fir trees and the shadow of soaring mountains. Stay a night or two in a luxury lodge where all that cortisol can be soothed in the steam of a hot tub beneath the stars. Who doesn’t want to party on the precipice? Rock the Pistes takes the raucous feel good energy of the après ski lifestyle and amps it up by a thousand decibels. 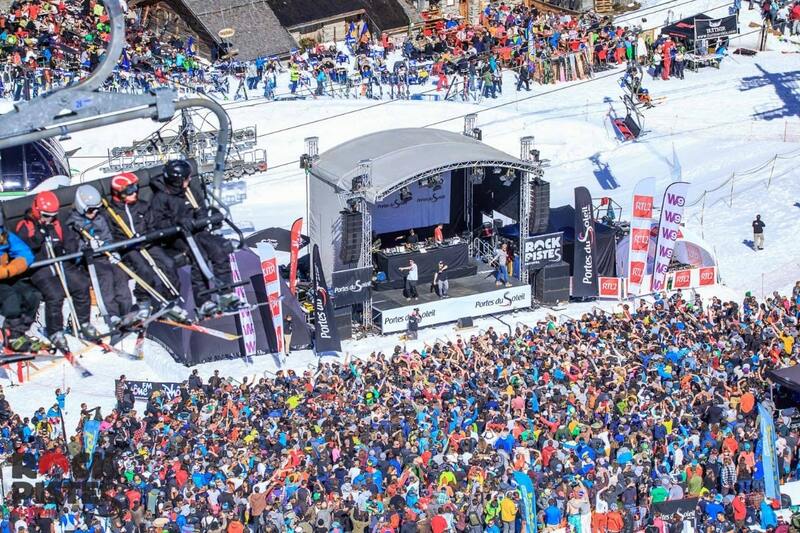 Sitting high in the Alpine mountains that fuse together France and Switzerland, you can expect a fresh-faced gathering of 28,000 ski junkies, along with world-class DJ’s, no fewer than fifty concerts, and all the gooey fondue you can get your mitts on. Spending a week carving down the slopes, rocking out to world class acts, feasting like a maniac on velvety melted cheese dishes, and sleeping in sublime bliss up in the dizzying heights of Portes du Soleil is the ultimate way to welcome in the 2019 ski season. Jack London once said, ‘I’d rather sing one wild song and burst my heart with it, than live a thousand years watching my digestion and being afraid of the wet’. This is how one approaches Alaska – ready to embrace untamed nature. Alaska is as wild as it gets – touching down in the Alyeska Bay Resort and its all visions of monolithic white mountains, rivers frozen thick with time, and prairies stretching their fingers to the horizon. 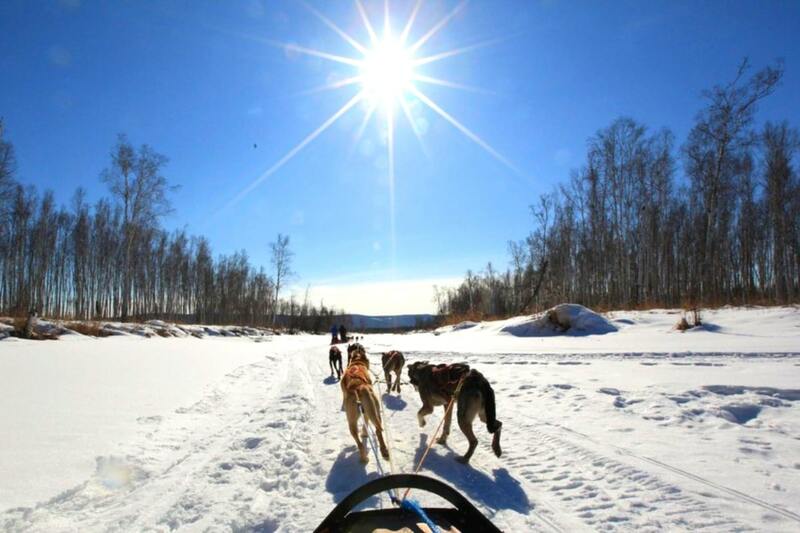 The best way to explore the Alaskan plains is on a sled pulled by your own team of huskies. There is nothing that will connect you with the local culture like racing beneath the northern lights, straining to hear the call of the wolf, and letting the dogs lead you into pastures unknown. Those who fall hard for the snow-soaked life and dog sledding in Alaska can even take part in the great race of Iditarod. - a long distance husky race that covers a staggering 1000 miles. At the end of a hard day mushing, there is always the crackle of the fire and a snort of rye to soften the body, as you can bet the soul is already well and truly warmed. Ever heard of a little place called Kamchatka? Thought not, this is one of those adventures that truly takes you off the map. In the 21st century, it is becoming trickier to find trails far from the tourist traps. The world is being uncovered, one country at a time, and for those who have the heart of an explorer – there is always a sense of been there, done that before. Not in Kamchatka. Flung as far east in Russia as you can get, this 1000km peninsular sits on the famous ring of fire. Although fire is the last thing you will see – an endless sea of white snow, mountains so marvelous they seemed to be carved from the hand of God, and no less than twenty bubbling volcanoes make up this far flung landscape. Even seeing Kamchatka is an adventure in itself, but to truly up the ante – why not throw in a set of skis and a helicopter. 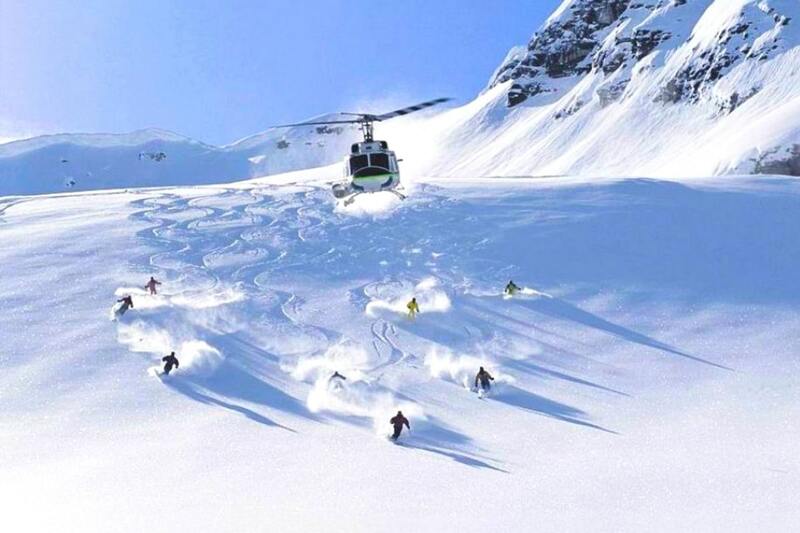 Heli-skiing in Kamchatka gifts you the chance to touch the slopes where few have skied before. Soar over steamy volcanoes, slide down mountains that rival the Alps, and cast your eye to the horizon of Alaska. This is the end of the earth.